The Kardashians don't exactly stay inside the box when it comes to skincare (see: vampire facials, lasers, and $400 IV treatments). So at this point, when we learn about a new strange product or crazy treatment that they've done, we can't say we're too shocked. We are however, consistently intrigued (truthfully because we hope whatever they're doing will work for us, too). Enter: human exosomes. Yeah, we were pretty confused at first, too, but they're actually quite interesting. Exosomes are teeny-tiny messengers that travel between cells. When they get to a new cell, they transfer information over from healthy cells so that they can replicate those factors in cells that are damaged and need repair and restoration. Pretty cool, huh? Exo Face, a new skincare brand, has actually been able to recreate these cells using a technology called Zen3. Through the brand's development of these "cells," it has duplicated exosomes that hydrate human cells and make them look radiant. Doing so helps turn back the clock on your skin, so it's no surprise celebs and makeup artists have started taking note: it's expected to be recommended by the ever skin-savvy Kourtney Kardashian on her website in the near future, and the makeup artists for the cast of Modern Family swear by as well. "We love to use the Exo Face Skin Moisturizer on the actors before we apply their makeup and after cleansing as well," Stephanie Massie, lead makeup artist for Modern Family, tells us. "It has greatly improved the appearance of their skin, leaving it bright and flawless for camera!" 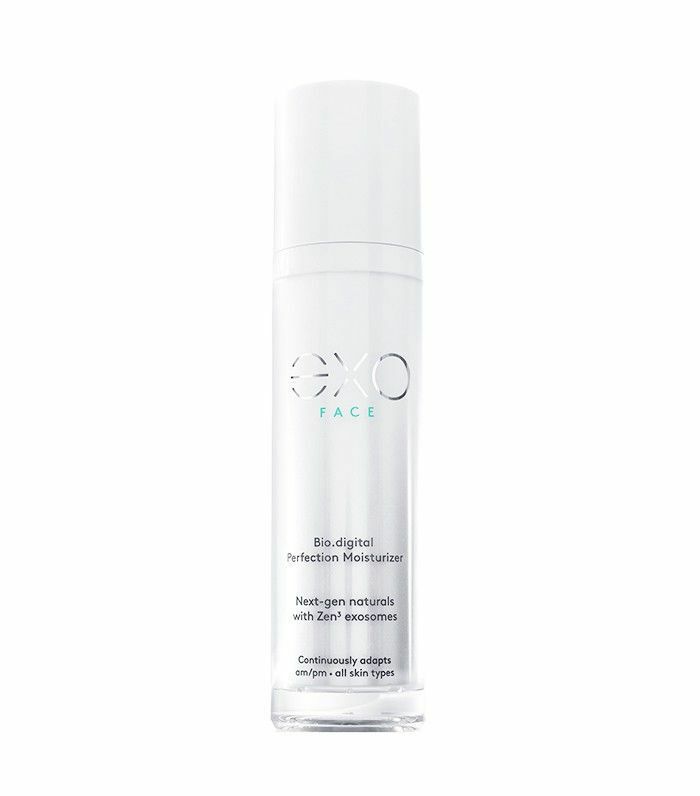 Its sole product, Bio.digital Perfection Moisturizer, is fortified with over 150 million of Zen3 exosomes to partner with your unique cell makeup. It's also got tons of natural ingredients like kelp, Irish moss, and noni oil. Consider it a bespoke skin experience that erases wrinkles and plumps and smooths skin. And if it'll help make our skin look as radiant KK's, count us in. Want more anti-aging tips? Here's how to find your ideal anti-aging ingredient.